During the Super Bowl, Fortnite announced that they will be adding a couple new things to the game during the v7.30 Content Update which will go live tomorrow. The Foraged Campfire and Bottle Rockets will be hitting the map and we are curious what changes we can expect. The former seems pretty self-explanatory but the latter is still a bit confusing as to how it actually works. So we did our best to take lessons from Fortnite’s previous additions to the game, plus some information from the game files, to figure out what the Bottle Rockets will actually do. The design on the base of the Bottle Rocks seems to indicate that it will be a stationary item like the mounted turrets. This seems like it would make more sense as the last thing Fortnite needs is more handheld explosive devices. Also, Epic likes to introduce new items and not rehash old items so a mounted explosive device seems likely as it is something Fortnite hasn’t done before. That second sentence seems to be an indicator that the weapon will be focused around destroying structures, much like the Boombox. If that is the case it will be interesting to see the reception from the player base. 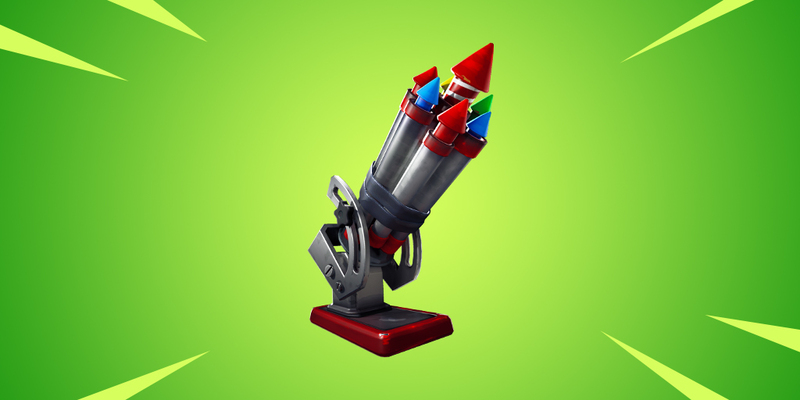 The weapon will also probably damage players but it would make sense for the damage to players to be low if the damage to structures is high. If both are high, this weapon will be instantly overpowered and honestly, it might be anyway. The mounted turrets had a consistent fire rate but overheated to prevent them from being spammed. Some people in the early days would place two side-by-side to get around the overheat but that strategy never really caught on because counters to the turrets came out pretty quickly. The Bottle Rockets will have to work differently. They may have a rocket reload time between each shot or a mass reload after a couple rockets are fired off. Either one of those systems would work. I just hope you can’t spam a bunch of rockets one after another. If they do deal a lot of damage to structures, the madness of builds being broken with the loud and bright rockets seems exhausting. How good will the Bottle Rockets be? This is the big question. How good will they be? Based on past introductions of new weapons and items in Season 7 I feel it is safe to say they will be really strong. 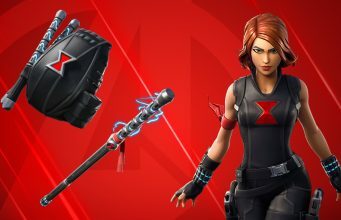 Almost everything Epic has introduced in this season has been designed to make an impact immediately. It also seems like Epic’s stance with new items is to start them strong then nerf them back to a more level playing field. For that reason expect to see a lot of Bottle Rockets flying through the air tomorrow. What do you think the Bottle Rockets will be like? Are you excited for another weapon like the mounted turrets?